So just barely Amy at Sunlit Pages did a post about some of her family's favorite poetry collections. It reminded me that one of my favorite places to get new poetry is Babybug magazine. Oh my gosh its so cute. It's just really, really cute you guys. And its short, so we can read it all in one sitting -- usually we read any given issue at least twice in a row. Jubilee insists. All the little poems and stories are on a theme. Off the top of my head we've seen issues on wind, and mail, and jumping, and balls, and hats, and winter weather. In every issue there are a things we look forward to. Jubilee loves the "Kim and Carrots" stories that begin each issue, about a girl and her stuffed bunny. I love the fingerplays, and I used one of them when I visited the boys' classrooms last week. Every issue has a few pictures on the back and asks you to find them within the magazine. When we first started getting Babybug, Jubilee was too young to grasp the concept, but now she gets it. 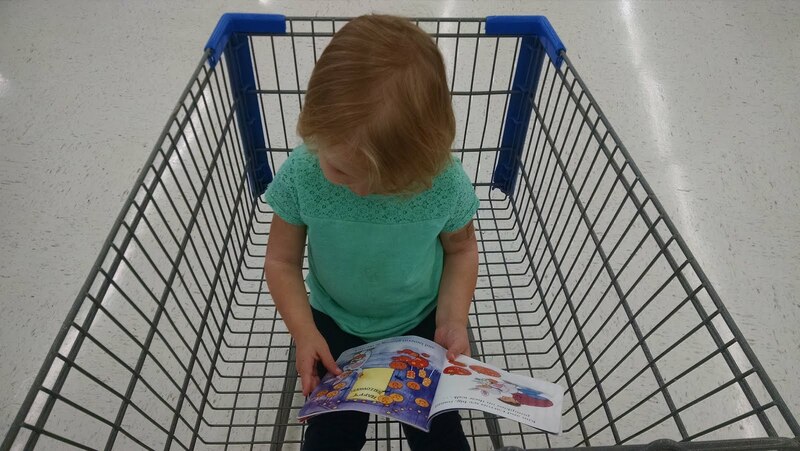 It's just so fun to me to sit and read these to her. Honestly, if the boys are home, they usually drift over to listen in. Jubilee once insisted on taking her Babybug shopping with us. The art is always high quality and the magazine itself is very durable. They know that it's going to be read by little ones! It is made of glossy cardstock-type paper, rather than typical flimsy magazine paper. It's bound like a book, rather than being stapled together. 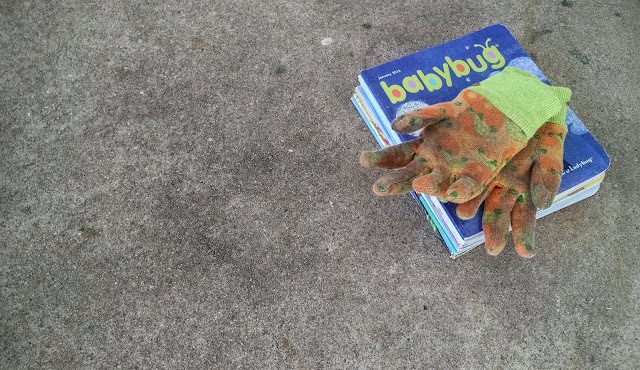 Another good-to-know: Babybug magazine is free of advertising. It means the subscription price is higher, but I think it's worth it. Especially since Grandma is the one that bought us our subscription. Haha! 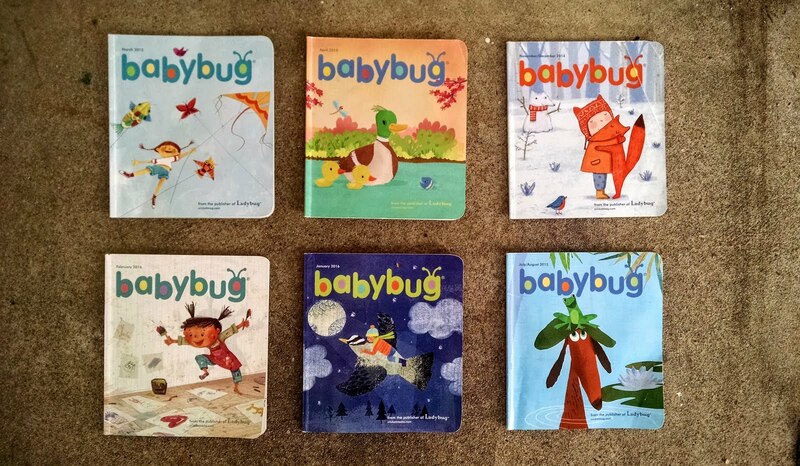 But seriously, We thoroughly enjoyed a year of Babybug and when it was ending I asked my mom if she wanted to renew it for us, or if I should renew it myself, because I wanted to get getting it! We're now enjoying our second year and not tired of it at all. The thrill of getting it in the mail, the fat little stack of magazines we are collecting, the rhyming and the art and the poetry. I just love everything about Babybug. If you're looking for a gift for a little one, ages 1-5, I'd say, then I heartily recommend it. I've been meaning to post about Babybug for a long time! And now I've finally done it. You can look forward to posts about the magazines that my boys get from the same publisher. They're called Ladybug and Spider. UPDATE: Here is my review of Ladybug, for ages 3-6. Do you have a favorite magazine for kids? Or for yourself? I'd LOVE to hear about it. Wild Animal Baby magazine was our favorite, we used to take these everywhere. Aww, that sounds adorable! I just looked into it and it looks like it's out of print. Thanks anyway, Brenda! I hadn't even heard of that one. We have liked National Geographic Little Kids. It was great! Age appropriate activities and of course, beautiful photos. It only comes every month, if I remember right. Thanks Linnae! Yeah, I have seen NatGeo Little Kids and liked it a lot! I haven't looked at NatGeo Kids lately, but it's good to know that there's a big gap there. I love this! I'm not sure how I never thought of getting this for my kids, I loved reading them to my little sisters back in the day! I know, right? I don't usually think "hmm, i wonder what magazine to get for my kids..." but it's a great gift!